Here the implied constant is absolute. if is even. Here means that there exists an absolute constant such that . The last inequality is elementary, see here, and using Stirling’s formula (or Wallis formula) can be made into the asymptotic formula . The goal of this post is to describe an easy “circle-method-argument” that reduces the proof of the theorem to the case of a simple random walk on . I’ve learnt this argument from James Maynard. as needed. This finishes the proof for rational -s.
Next we consider the general setting, namely, when the -s are nonzero complex numbers. Let be the -vector space that is spanned by the -s and proceed by induction on . When , then we are back in the setting of rational -s, so we may assume that . Take of dimension . So the -s divide into two nonempty sets and such that and . Fix some so that . Any breaks as with rational and . We may assume that (otherwise the probability is zero) and hence can be decompose as with rational and . Then if and only if and with . Denote the former event by and for any choice of signs for the elements in denote the latter event by . During a talk of Andrew Granville in the Probability in Number Theory conference in the CRM, I’ve learned Billingsley’s proof of the Erdős-Kac theorem (see here). This proof is pretty cool, and it uses really a bit number theory and two bits of probability. This post is an attempt to survey it. The proof goes by computing the moments of the normalization of and showing it coincide with a random model, which is Gaussian. The story being the name of the theorem is quite nice: Erdős sat in a talk of Kac who presented this theorem as a something plausible, and Erdős gave a proof at the end of the talk. The proof below is not the original proof, but rather a proof based on moments. Here is a list of the tools we will use, coming from probability and from number theory. The second is the classical CLT saying that a normalized sum of many independent random variables which are reasonably distributed is distributed normal with mean and standard deviation . We will use it for sums of Bernoulli random variables. so it is OK to replace by . Is a random polynomial with restricted coefficients irreducible? This post reports on some progress Gady Kozma and I have done recently on the problem of the irreducibility of random polynomials. How the complex roots distribute? We refer to the work of Odlyzko-Poonen and to here for the above and many more beautiful illustrations. The universality question: How the answers to the above questions depend on the actual distribution of the . If the , then a question of irreducibility over arises. This conjecture is open. In fact, I got familiarized with these type of questions by some guy on the street who asked about irreducibly whp in the model. Here we use the notation if there exists an absolute constant such that . Even if one takes the easier problem when the coefficients are allowed to take values in a bigger fixed set, no result was known. Recently, Gady Kozma and I uploaded to the arXiv a paper, in which we prove a Odlyzko-Poonen type conjecture, for taking the values . In fact, we just need the coefficients to distribute uniformly modulo and, of course, that . which is well defined up to reordering of the roots; i.e., up to conjugation in . So from now on we consider as a subgroup of . is transitive if and only if is irreducible. where in the last equality we have used the prime polynomial theorem. So, if this estimation is ok for a set primes which grows with , we get that most polynomials are irreducible. Here we used the classical result in number theory that the average value of in the interval is . One may see that this bound does not help in the restricted coefficient model discussed above, as it tends to with . The crux of the proof is specializing , which essentially reduces to the large box model. 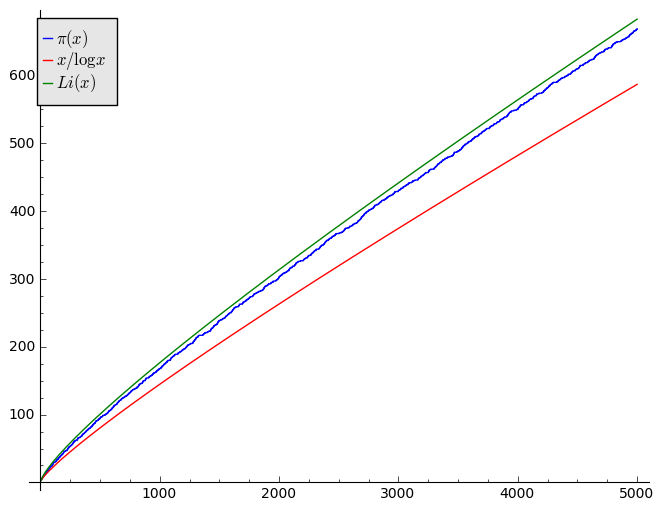 This was generalized by Chern to more general fixed sets of coefficients, see here. Going back to the restricted coefficients model, we now explain the main tools/steps in the proof of Theorem 2. We always assume that is a random polynomial with iid coefficients taking the values , uniformly (unless explicitly stated otherwise). It will be convenient to introduce a piece of terminology: An event on a random polynomial holds a.s. (almost surely) if the probability for it to hold is , as . A.s., the degrees of are , for some . A linear factor corresponds to a rational root, which by the rational root theorem must be . The probability that is a root is the same as the probability that a length random walk on the line will come back to the starting point, which is . So a.s. has no linear factor. Since we have an exact formula for the number of primes of each degree (the prime polynomial theorem) both these probabilities have formulas, see Arratia, Barbour and Tavaré for an extensive study on the relations of the two probability functions. In particular, it is not very difficult to show that with absolute constant that is independent on (and funny enough this gives a new proof of the derangement problem). Dimitris Koukoulopoulos suggested a way to directly work with polynomials instead of going through permutations. This will be discussed elsewhere. for every , the probability that there is for which four iid uniform random permutations has invariant set of size is . This was shown (essentially) by Pemantle-Peres-Rivin with the bound . This does not hold for three random permutations as was shown by Eberhard, Ford and Green. This completes the steps in the proof. Let be a random uniform permutation and let be sufficiently small (in fact suffices). Then a.s. there exists no transitive group that contains a permutation that can be get from changing by cycles of length . The need for perturbation comes from two sources. The first is that we can from (*). The second one comes from lifting the Frobenius. To be more precise, write for modulo . If has prime factors of degree and it is squarefree, then the Frobenius acts on the roots of has a permutation with cycles of length , and this action may be lifted to an element of . However, if is not squarefree, this doesn’t work as simple. There exists a unique factorization with squarefull, squarefree, and . Then, the roots of and the roots of each are invariant set under the action of the Frobenius. Now we can lift the Frobenius to an element , so that acts the same on the set of liftings of the roots of . This means that, up to the perturbation of the size of , the element is uniform. Now, we know that a.s. , and so we get a random element up to perturbation as needed. The aim of this post is to survey some results that has been obtained recently on statistic of arithmetic functions over large finite fields using Galois theory. In a future post, I will discuss the proofs. The Riemann hypothesis implies the first conjecture only for and the General Riemann Hypothesis implies the second conjecture only for . We refer the interested reader to the excellent survey paper by Granville. If the -s are all equal, we use the term auto-correlation, if we say pair-correlation, etc. Following the previous examples, the auto-correlations of as given in the Hardy-Littlewood prime tuple conjecture, implies Poisson distribution of the number of primes in intervals of typical length (this is known as Gallagher’s lemma). See this post for some more on the Hardy-Littlewood prime tuple conjecture. In particular, when , the content of the Bateman-Horn conjecture (which is a quantitative version of the Bouniakowsky conjecture and the more general Schinzel Hypothesis H). In particular, taking , we get the Hardy-Littlewood prime tuple conjecture. Taking , we get a quantitative Landau’s problem of finding infinitely many primes of the form . We exemplified the importance of this statistics with , but taking other arithmetic functions such as the M\”obius function, divisor function, etc. leads to a variety of central problems in analytic number theory which have applications in other fields (e.g. the auto-correlations of and its connections to the dynamics of billiards). I do not want to elaborate on those applications here; the bottom line is that statistics of arithmetic functions is central in number theory. Large-finite-field limit: fixed and . The first thing to note, that unlike the number field case, there is NO error term here. In particular, this theorem is valid in the most general limit . The proof of this theorem goes in the same lines as the proof of the Prime Number Theorem, just that the corresponding zeta function is a rational function with no zeros, hence the analytic part is trivial in the function field case. The fact that there are no zeros gives the exact formula above. In general, the General Riemann Hypothesis (GRH) for function fields is a theorem, hence we expect that any result for the integers conditional on GRH should be provable in the function field setting. However this is not the case, a beautiful example in the setting of the Bateman-Horn conjecture is discussed here. The studies on the mean values of arithmetic functions in short intervals started with the Von Mongoldt (and the prime characteristic function) by Bank&Bary-Soroker&Rosenzweig and by Keating&Rudnick. The latter paper studies the distribution of of the number of primes (counted with von-Mongoldt) in short intervals, and in particular computes the variance in the limit . The work is based on an equidstribution result of Katz. The former result study the mean values of the number of primes in all short intervals, in the same limit . Here the main point the main point is a computation of a Galois group, which is based on earlier results of S.D. Cohen. which corresponds to a short interval around (with parameter ), where corresponds to . The results for primes were generalized to other arithmetic functions, to correlations, and even to arithmetic function evaluated at polynomials, a la Bateman-Horn conjecture. Some other people who contributed a lot in this direction: Julio Andrade, Dan Carmon, Alexei Entin, Arno Fehm, Paul Pollack, Brad Rodgers, and many more. I want to focus here on several families of arithmetic functions that we can compute the mean value in short intervals in the large degree limit. I will start with simpler ones. A theorem in the spirit of Bank&Bary-Soroker&Rosenzweig and of Andrade&Bary-Soroker&Rudnick connects this quantity to the mean value in short intervals. Recall that the arithmetic function is the indication function of sums of two squares. More precisely, if and only if . There were several works on the analogue in the function fields. Theorem. if and only if for every prime polynomial with divides even number of times. Question 1. What is the generalization of the notion of arithmetic functions? Question 2. What is the group the governs these arithmetic functions? The objective of this post is to compute the Frobenius element in the simplest example of an Artin-Schreier extension. For a prime power we write for the finite field with elements and for the field of rational functions over . Next we recall the definition of the Frobenius at a prime polynomial. Let be the ring of polynomials with coefficients in and let be the integral closure of in which is a polynomial ring in . In this post I discuss the classical connection between irreducible and group preserving specializations in Hilbert’s irreducibility theorem. A field is Hilbertian if every that is separable and of positive degree in and irreducible in admits infinitely many irreducible specializations, that means, there exist infinitely many such that is irreducible and separable as a polynomial in . A group preserving specialization is a stronger type of specialization. For separable in , let be its splitting field over , and let be the Galois group of over . For any with separable, let be the splitting field of and be the Galois group. One always has that is a subquotient of (that is is isomorphic to the decomposition group modulo the inertia group of a prime of that lies over the prime of ). A specialization is called group preserving specialization if , or equivalently if . If is an irreducible specialization for it is NOT necessarily group preserving. For example, the Galois group of is , the specialization gives – which is irreducible but its Galois group is (since its the minimal polynomial of the root of unity ). Theorem (Hilbert): If is Hilbertian, then for every separable-in- polynomial there is a group preserving specialization. So the groups are of the same size, as needed. In this post I will describe the solution to the Hardy-Littlewood tuple conjecture for polynomials over large finite fields. Let . We will say that a -tuple of integers is a prime tuple if is a prime for every . For a -tuple of integers, say , let be the number of such that is a prime tuple. First we note that if , for some , then divides one of the entries of , for every , so . This is consistent with the Hardy-Littlewood conjecture, since in this case, . If for all primes, then one can show that the product converges, so . Therefore, in this case, the events that is prime, , is prime, are, in a sense, independent up to the factor of the singular series. A notable case of The Hardy-Littlewood tuple conjecture is when , in which counts twin primes. The only case of Hardy-Littlewood tuple conjecture that is settled is , which is the prime number theorem. All other cases are hopelessly open. Here plays the role of in the classical setting, since there are monic polynomials of degree , and plays the role of . We note that here, in contrast to the classical case, there are several ways can tend to , notably and . Since we have a good error term in the prime number theorem in polynomial rings, the theorem holds in all limits. However, it happens that some questions in number theory in polynomial rings can be solved only in certain limits. In what follows I’m going to explain a solution of the Hardy-Littlewood tuple conjecture in polynomial rings in the limit , odd. For positive integers , a prime power , and a -tuple of polynomials in each of degree , we let be the number of monic polynomials of degree such that is a -tuple of irreducible polynomials. where runs over all monic irreducibles and is the number of residues of mod . We note that , so if , then each factor will tend to , so (I wasn’t very rigorous here…). Therefore, in the limit , the Hardy-Littlewood tuple conjecture should say that , as . Here the notation means that there exists a constant , depending only on and – and NOT on or on – such that . Before going to the points in the proof several remarks are in place. The interesting case is due to Bender and Pollack, see here. Another interesting special case is when the polynomials in are constants. In this case there are stronger results by Pollack and by myself. This point of view allows us to break the problem into two parts. The first part is an analog of Hilbert’s irreducibility theorem: The study of irreducible specializations for polynomials. We will see that unlike the classical setting, over finite fields the existence, and the number of irreducible specializations is governed by the Galois group. We will elaborate more below. For now we shall say that the above consideration leads to the study of the Galois groups of the polynomials . Since the coefficients of , hence of , are variables we get that is irreducible (in the ring , and even ). This, however, does not suffice for our needs. To apply the above mentioned Hilbert’s irreducibility theorem, we have to know the Galois group of . Thus if we show that , we will get that also . For each we have an epimorphism . Composing each with the signature map , we get . Lemma. The map is surjective if and only if the map is surjective. By this lemma it suffices to study the maps . the discriminant of is non-square (this is obvious since the corresponding Galois group is ) for each . The product of any subset of discriminants is non-square. The latter condition can be achieved by applying a very nice argument of Carmon and Rudnick, taken from here. The details will be given in a later post. Let me state a type Hilbert’s irreducibility theorem for finite fields in the setting we have here. I should say that this is not the most general theorem. If the Galois groups of over and over are isomorphic; denote by , i.e., if the splitting field of over is regular, then the same result as in the above theorem holds with a factor before . Explicitly, is the number on elements in such that each is an -cycle. The theorem also has a version when the splitting field is not regular. The theorem straightforwardly follows from an explicit Chebotarev’s theorem for function fields. The case was proved by Geyer and Jarden, and perhaps a future post will discuss it.